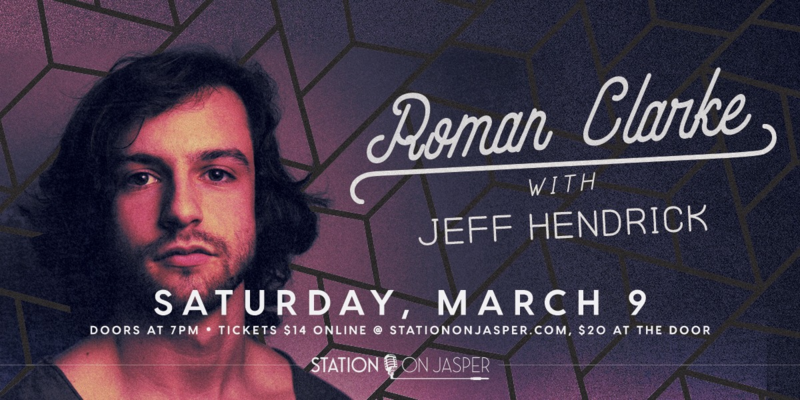 Station On Jasper presents Roman Clarke. Roman Clarke takes gospel harmony, modern R&B, and the charm of the 1970’s and rolls it all into a flavour that is well-suited to his inherently nostalgic generation. The songs come across with the sort of oblivious cheekiness and optimistic energy that is unique to twenty-somethings. His particular shade of keyboard heavy, groove based pop, blends influences as diverse as Vulfpeck and D’Angelo. What he’s offering doesn’t surface often in the musical landscape of rural Manitoba, and tends to illicit comparisons to a similarly talented multi-instrumentalist prairie-born artist, Remy Shand. Not unlike Remy, Roman is a one person wrecking machine - writing, producing, and playing all of the instruments.